Customers today are savvy, fickle, and demanding. How do retailers grow profitably in these challenging times? By transforming the business to deliver unified, personalized customer experiences that engage and drive loyalty. Leading retailers are utilizing SAP technology and software to deliver personalized customer experiences, as well as increasing operating efficiencies to reduce costs and run better. 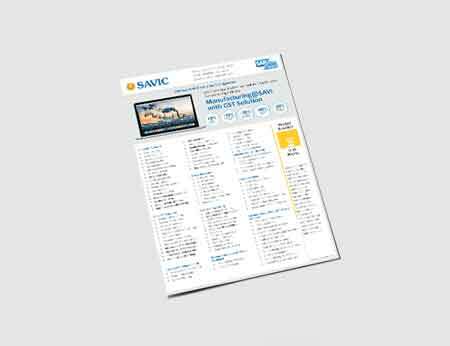 SAVIC Retail - Business Solution is a qualified partner solution on SAP S/4HANA latest edition for the respective industry. Streamline the implementation process; bring together software, global best practices, compliance of legal, statutory and management reporting with our Retail - Business Solution. This ready-to-deploy solution (RDS) can help you to keep up with the changing regulations and innovations by transforming processes and enable new sales models by continuous customer engagement, manage a profit-driven supply chain, and achieve excellence stores operations. SAVIC Retail - Business Solution is an SAP-qualified & localized for India, Sri Lanka & MENA rapid deployment solution that gets you up and running quickly in weeks. Start with what you need now and expand your solution as your requirements change & business grows. putting the customers’ point of view at the center of every decision is a key prerequisite for success in the digital age. This does not stop in the stores or call centers, but also applies to what assortments are built and pricing and promotions and overall experiences are offered. is redefining the boundaries of retail. New in-store technologies such as beacon and virtual or augmented reality allow retailers to reimagine personalization and customer service. Smart products and 3Dprinting creates new levels of customer connectivity and involvement. Built-in sensors can provide insights on usage patterns, health, and nutrition needs and can drive repurchase impulses. Differentiation and specificity in products stems from digital capabilities and value-added services that are bundled with the physical products. Using digital capabilities like self-awareness of technical health and operational status or business system connectivity helps industrial manufacturers differentiate. Connecting the end-to-end supply chain from suppliers down to consumers’ homes offers new opportunities for automated replenishment, convenience options, retail without inventory, better demand supply matching, moving closer to consumption, and soon. 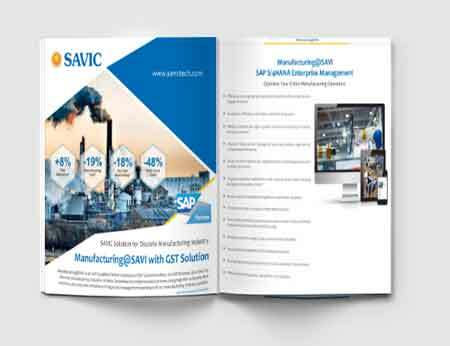 SAVIC qualified solution for Retail industry with inbuilt GST processes will help the businesses to quickly start running on SAP S/4HANA latest edition. The key advantage is in the speed at which the businesses are transformed onto digital platform. The ready to deploy solution covers all major processes like supply chain planning & execution, procurement, sales, projects into financials and controlling. 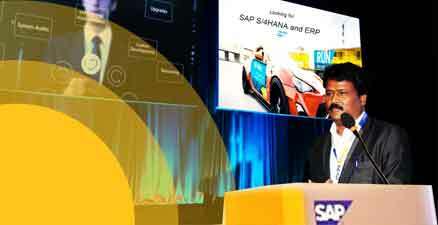 Low risk implementation in 16 weeks using SAP Activated Methodology specific to the Retail industry. Retail Industry solutions to manage supply chain process, improve management ability in planning, deliveries, and financial accounting. Retail companies can deploy the best solutions to improve the business process among suppliers and the adaptability in the changing market.